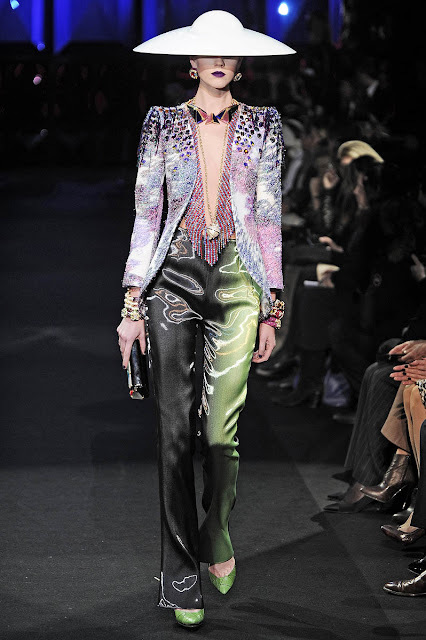 Couture fantasy fashion & Sci-Fi movies are two of my passion in life, and when I saw Armani Privé Spring 2011 Collection, I love it immediately! 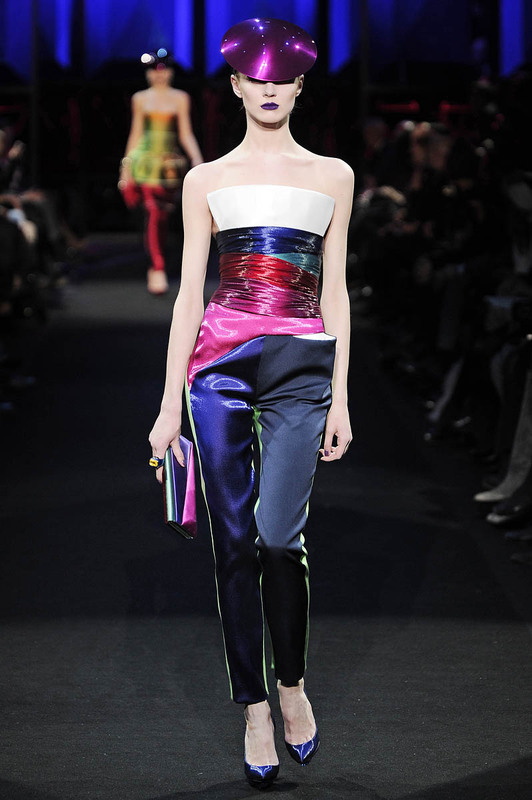 I’ve heard some other fashion editors all not happy about what they saw from this show & said “ Oh! It’s too Lady Gaga! 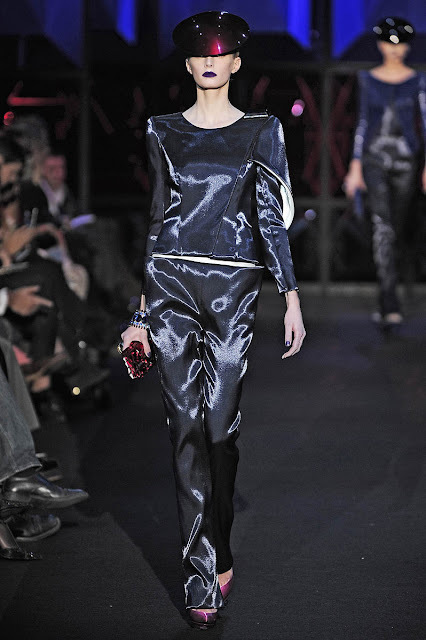 And it totally doesn’t even look like the usual Armani style… blah blah blah”. For me, I think it’s fabulous for a designers who are as well known & famous as Giorgio Armani to take a chance and be inspired by whatever that inspired him & create something utterly fabulous that is so not the “usual” Minimalistic, quiet elegance & muted neutral color Armani style, It takes courage & a great vision to make that leap! And for that, I give him a big applause! For me, the whole show has the hit movie “Tron Legacy” futuristic feel to it! The unexpected combination of intricate beading mixing with the high-tech slick silk nylon type of fabrics in neon colors, the structured cuts & shapes of each garment is just screams Couture ! 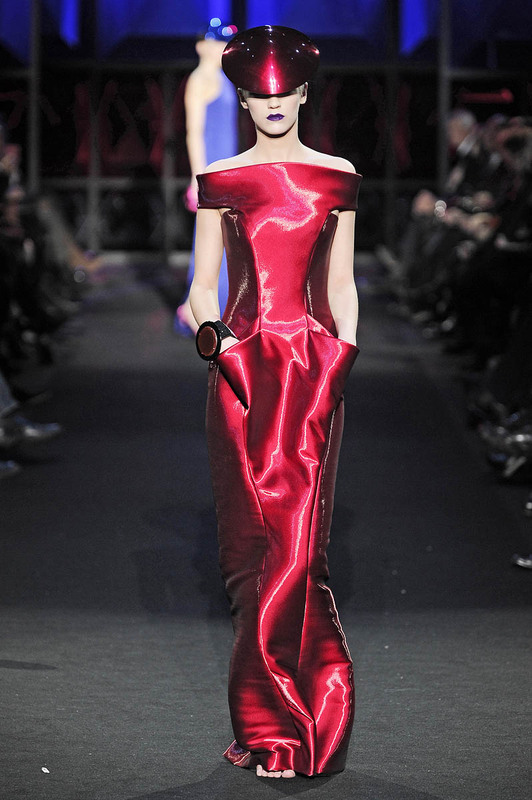 This collection transports us into the future and offers us a glimpse of the Future Couture. I hope you’ve enjoy this collection as much as I did! Until next time, be well and look fabulous!